Our shop is open for business, so come on in and take a look around. And if you want to purchase something, go right ahead! Stream Energy- Save money and make money on your gas and electric energy bills, without any change in service. Did you know that 6 states in the US now have deregulated their energy markets? What this means is that people in Georgia, Maryland, New Jersey, New York, Pennsylvania, Texas, and Washington DC have a choice in who they buy energy from. Just like the telephone industry deregulation several decades ago, some states are choosing to deregulate, thereby creating a free market and better options with lower prices for consumers like you and me. Ignite’s parent company, Stream Energy, is a 7 year old, debt-free company that has done $5 billion in total revenue. Stream has also received many industry awards and is one of the fastest growing companies that has revolutionized the deregulated energy market. Their business plan allows individuals to sell energy through a direct sales/network marketing framework; this means that you can make money by referring other families to the company to save money on their bill too! Clean Nation -Encourage energy independence & clean up our environment by purchasing Renewable Energy Credits. Rocky Mountain Trail is located in the Heart of the Rockies in Buena Vista, Colorado. They are committed to helping outfit families so they can enjoy the recreational opportunities that lie outside your door, no matter where you live and play! Do you have a blog inside you, waiting to get out? Want to update your existing blog? Ryan and Emily Jones from Jones Design Company have put together a comprehensive self-directed class that provides you everything from design, SEO, content, hosting, readership, etc. The Blog Class is what helped me launch and create and maintain my little blog right here. I can personally guarantee that you will be empowered, inspired and supported, and that this is truly the best bang for your buck! 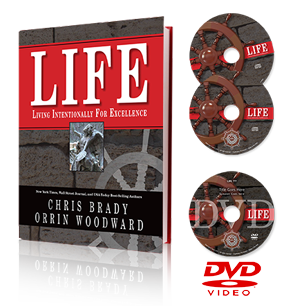 Click on the image above, which will let them know that you heard about The Blog Class from Moore From Life. This is the place to shop online for all your adventures in snowboarding, skiing, wakeboarding, skateboarding, camping, etc. Pro Board Shop even has sunglasses, boots, bags, bikes for men, women and kids. They have been around since 1982 and are an American company ready to serve your outdoor needs. They also have free shipping, weekly deals and a price match guarantee. In 1989, the clothing company started from humble beginnings by two brothers who hocked T-shirts on the streets of Boston and in college dorms. Now, the company is known for spreading optimism through their designs that emphasise simplicity, humor and humility. Veggie Tales is a faith-based line of music, books, toys and apparel. Through their cute animated characters, Veggie tales teach about morals, life lessons, and character education. The Altrec.com website launched in March 1999 with the belief that spending time outside, whether climbing a mountain or taking a quiet hike, helps us to live a healthy, balanced life. They offer a wide variety of outdoor gear, clothing, and accessories for men, women and children; including yoga, travel, and pets! Join the Craft Beer Club Today! There is no membership fee, no obligation to continue, and you may cancel anytime for any reason. OnlineFabricStore.net has one of the country’s largest inventories of first quality upholstery, drapery, and dress fabrics. They stock all designer and decorator brands; and also have supplies for your sewing and upholstery projects. They sell top quality fabrics at todays lowest prices and best service. Free Shipping on orders $50 or more. Safe Beginnings is committed to keeping families safe and making parenting more convenient and enjoyable with the largest selection of well-designed, durable childproofing products, popular baby care accessories and home safety items. From offering a childproofing service, to a mail order catalog, to a wholesale division, to the internet, Safe Beginnings has always been concerned with providing the best in quality and service. 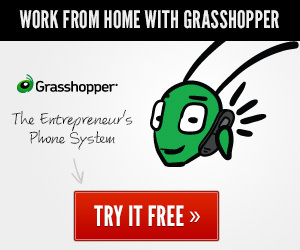 The Grasshopper virtual phone system helps entrepreneurs sound more professional and stay connected from anywhere. Features include toll free and local numbers, custom greetings, multiple extensions for employees, call forwarding to any phone anywhere in the world, voicemail to email, and much more. Unlike a traditional phone system, Grasshopper is managed all online and in the cloud – there’s no hardware to purchase and no software to install. We at Moore From Life have been using Grasshopper for several years and love it because it is simple and inexpensive! If you are looking for a way to earn money from your blog or website, then ShareASale can assist you. They have hundreds of merchants who will pay you to advertise on your website. Shareasale.com Affiliate Software can help you boost sales at your online store. No technical requirements, and can be up and running in a day.